Facebook is rightfully the most craved social media platform in the digital world created and promoted by humans. With billions of active users leveraging the power of Facebook every day, there is no gainsay that Facebook is never going to vanish. 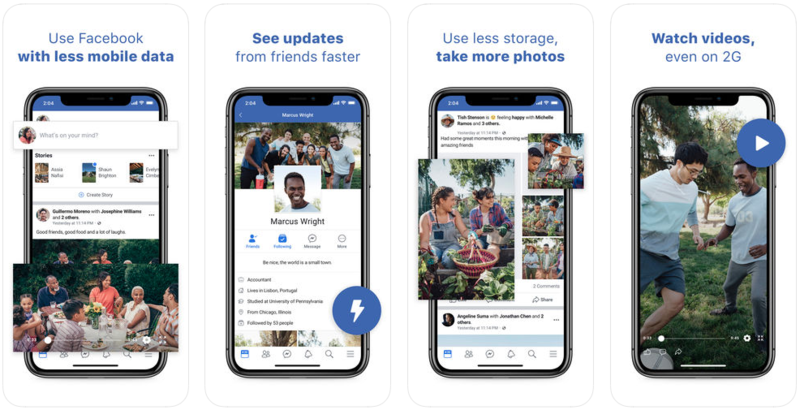 However, it is admissible that the main Facebook app is heavy and overwhelming to device storage, consuming immense data while loading and uploading. For this reason, users nowadays have many similar alternatives for Android and iPhone, especially for those who feel increasingly dismayed of auto-play videos, strange requests and fake news feed, etc. the following Facebook alternative apps will undoubtedly make you choose and install the best of them. 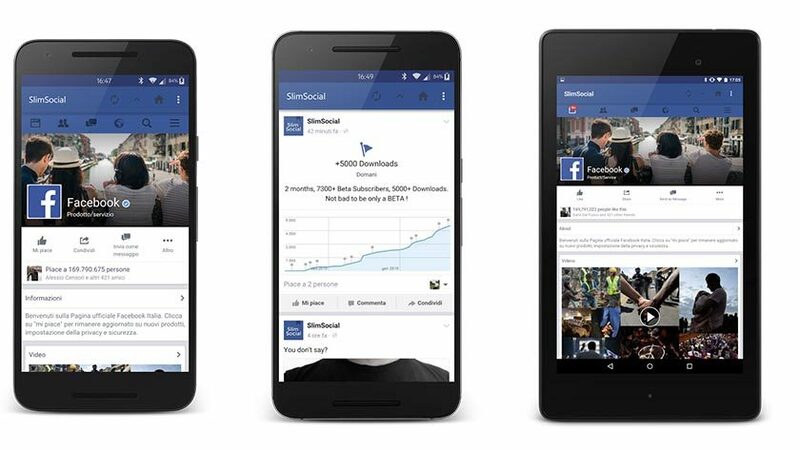 Let’s take a short peep at some of the finest Facebook apps available for Android and iOS users. 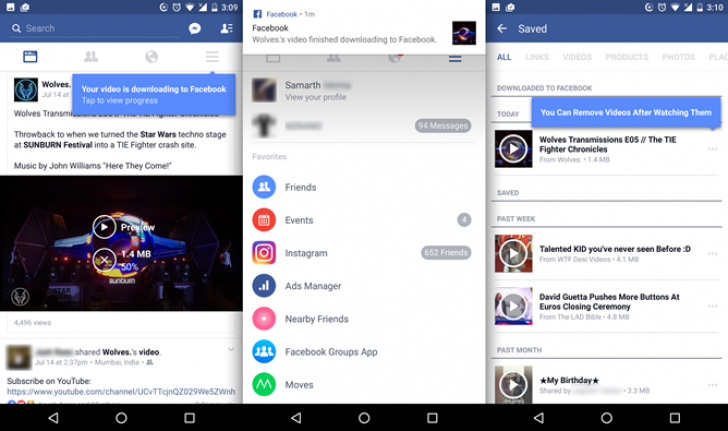 Amongst the most embraced Facebook alternatives, Faster for Facebook Lite gives Android users an all-new user experience using lighter, compact and feature-compressed version of Facebook Lite. Acting as web wrapper, it comprises the basic template of Facebook instead of the entire massive Facebook app. 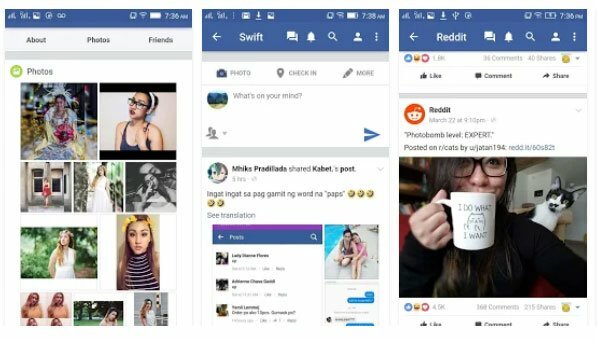 It offers Facebook messenger support and enables users to explore usual contents such as video; GIFs as observed in the main app. Users can also switch to its classic mode. It makes for a convenient, user-friendly version with dark mode and all-in-one experience. It costs $2.99 for its premium version which is really reasonable. With this app, Facebook combines both the main Facebook app and the Messenger app with an intent to let you access the website features and Facebook messenger tied in one place. The positive factor of this app is the optimization of data loss, more battery life and lesser consumption of storage space on your device. With a facility to sort and filter news feed by highlighting or hiding chosen keywords, users can easily view news feed with a specific keyword or eliminate any unwanted feed. In addition to this, users can block FB ads, set fingerprint-enabled passcode and even download videos from the wall for enhanced experience. 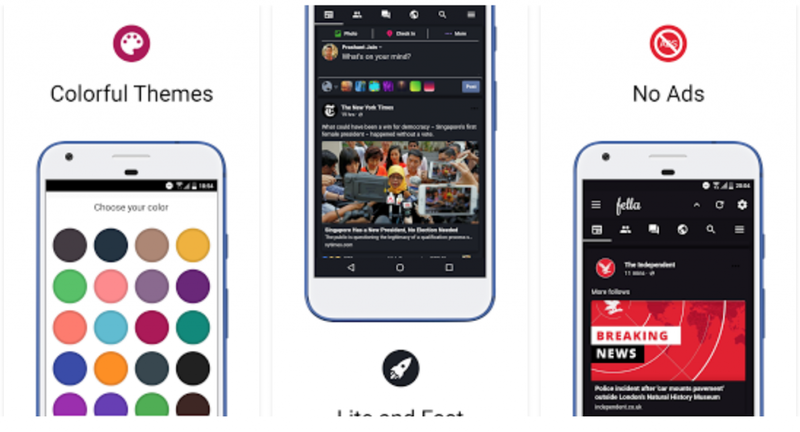 Created by the developers of Speedy which is a Puffin web browser, Puffin for Facebook is another free browser-based app available for both Android and iOS. Resource-optimized and light, Puffin for Facebook leverages Facebook’s own Cloud rendering technology to enable fast, controlled and low-resource social platform experience. With Puffin, users can know their monthly data savings and enjoy the same features as offered by Facebook’s mobile browser including the Messenger. However, users may view ads while using messenger for messages. Though it is not too snazzy or sleek, it definitely delivers FB site experience to users who have old device or are worried about their data cap. Simple for Facebook, as the name suggests, provides great simplicity by offering a simplified web-wrapper for FB mobile site. Hence, users have all the basic features they need including expressions and interactions via posts, photo and video upload, GIF sharing and downloading viewed videos. It also supports FB messenger activity albeit its conspicuous aspect is its limited selection of themes. The free version of Simple for Facebook app comes with ads, but users can the full ad-free version for $1.49 for better, hassle-free experience. This is an unique approach to summarizing many different social platforms in one app. This is why it is called Social Media Vault, where you will not find a full-blown Facebook alternative but a blend of many. However, Social Media Vault app makes sure it gives users great comfort and luxury of operating all social media accounts in one single spot. The Facebook version of this app is quite light and you can effortlessly switch between various social platforms with mere phone shake or screen swipe. Users can set a separate PIN to secure all social media apps which makes for an additional data security layer. What makes the app a considerable option is ability to offer you the way to know peek at anyone who tried to hack and access your Facebook account along with location and attempt timing. Fella for Facebook is an Android-specific mobile app that turns out to be a feature-rich alternative for FB users. It comes with many adorable customization options and comforts users by saving loads of data and offering great support during slow internet connectivity. You will not see any add popup, which is another likeable feature. There is a clear interface for enhanced usability and you can even watch and download your favorite videos. For customization, you will get various color options. Plus, you can enjoy the app in over 35 different languages. Seen as a lightest Android version, Swift for Facebook Lite consumes as much as 30MB or 20MB of RAM when installed on a device. It is impressive how it utilized RAM space and features it offers for FB and FB messenger experience. Users can comfortably do all the basic activities including photo/video upload, sharing posts, tagging and commenting and interacting. Its real appeal emerges from what it gets you without stealing much of your device resources. To relish ad-free experience, you will need to pay $0.99. SlimSocial apparently hints as slimming down existing Facebook to give you an app that embodies powerful simplicity. 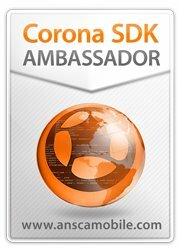 Its smallest size (100KB) strikes like a big surprise to many users. The icing on the cake is that it has no ads. For developers, the best part about SlimSocial is its open source quality which makes it easy for contributors to go make changes to its source code. Though it may appear a little slow, users will find it amazing altogether. Developers also zealously continue to update and build new features on and off. Path makes for a unique and thoughtful Facebook alternative for Android and iPhone users. The app is beloved for its cool simple and beautiful interface and provides the exemplary platform to post your pictures, videos and share opinions with your friends. You can also control who all can view posts by creating a close-loop circle of friends. Moreover, you have liberty to flaunt your favorite memories on other parallel platforms like Twitter, Facebook, Instagram and more. Tinfoil for Facebook is a little older Android app that is still used by many people. It simply allows you to use all its feature without asking for your permission. This web-wrapper has many of the features as hosted by the mainstream web counterpart. Tinfoil for Facebook is a free app that does not annoy with frequent ads not does it contain conditional in-app s. Such elements make the app an undisputed choice for those seeking a light FB version. 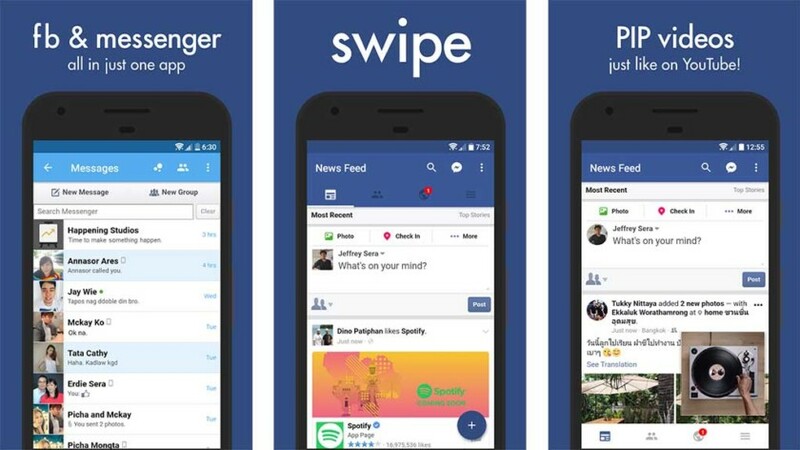 Swipe for Facebook is another lightweight web-wrapper app that bestows upon users a promise of much customizable FB experience. 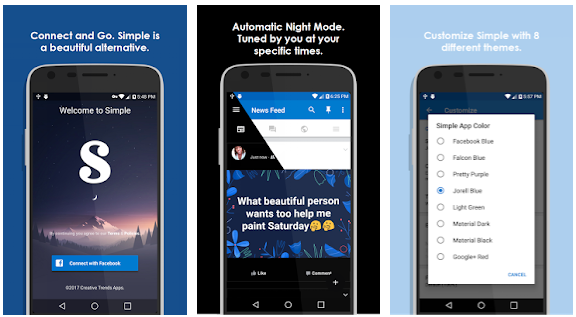 Available only for Android, the app has features of night mode, color choices and visual tweak, resembling the mobile version of Facebook. Users can browse their timeline, accept friend requests, edit profile, save data by image blocking and ensure data security by forming a fingerprint based passcode. The app also enables Messenger client for those who are addicted to chatting with friends. We all have our best and favorites among thousands of mobile apps. Thankfully, Facebook has amazing alternatives now for iPhone and Android users. To avoid encountering current problems with Facebook mobile app loading, you can try these alternatives and feel at ease and enjoy your social sessions with your friends without losing your calm. Hopefully, you will end up selecting your favorite from the list and install it on your device right away.